Kay's Adaptable Adventures: Food Should Taste Good Going Pink for Breast Cancer Awareness! Food Should Taste Good Going Pink for Breast Cancer Awareness! Disclaimer: I was provided products from Food Should Taste Good in order to facilitate this post. All opinions below are 100% mine and mine alone unless otherwise stated. Please do your own research before committing to purchase a product or service as your opinions may vary. 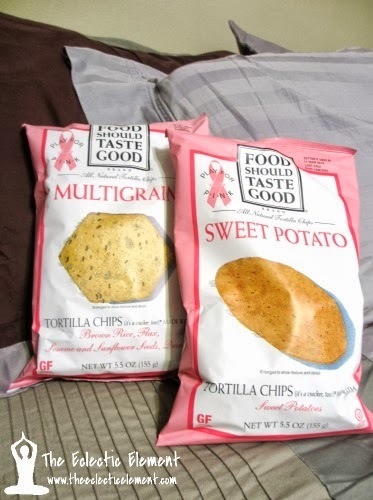 For the 3rd year in a row, the natural and Non-GMO snack food company, Food Should Taste Good, is transforming their Multigrain, Sweet Potato, Blue Corn, and Olive chips packaging pink for October's Breast Cancer Awareness month! 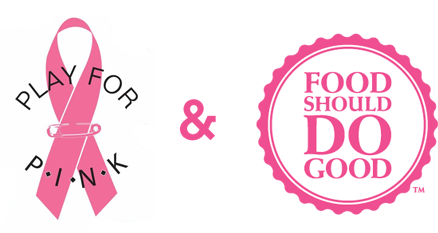 Food Should Do Good is their initiative to help support, raise awareness, and raise funds for various important causes and a cure for breast cancer is on their agenda this month. With a donation of $100,000 to Play for P.I.N.K (regardless of sales of their products) and going pink for the month of October, they're really doing what they can to help the cause. 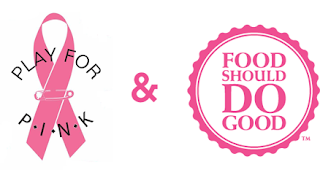 All funds collected by Play for P.I.N.K goes directly to the Breast Cancer Research Foundation for life-saving research. Having raised $29.7 million to date, Play for P.I.N.K is one of the leading foundations helping keep researchers at the forefront of discovery and progress! Do YOU know of anyone who has been affected by breast cancer?